The project was completed by TTA member and long-standing Ultra Tile account, The Great Northern Tiling Company. They secured the contract to tile the store’s shoe section and also the changing rooms area. 600 x 600 black porcelain tiles were chosen to compliment the store’s branded interior, and were fixed with Ultra Tile ProRapid RS. A flexible rapid set cementitious adhesive, ProRapid RS is available in 20kg bags in grey or white. 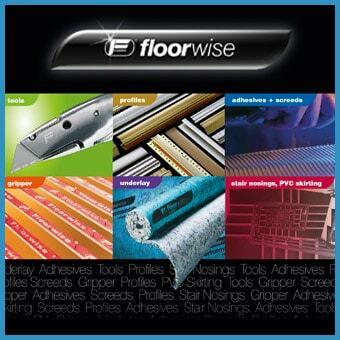 The adhesive can be applied at a bed thickness of between 3-12mm on walls or floors. Its pot life is 40 minutes and it will be set after just 2 hours. The product is suitable for both wet and dry conditions and is formulated to adhere to most common substrates including screwed and fixed over-boarded wooden floors. It can be used internally or externally. High polymer content increases the product’s flexibility and ensures its compatibility with under floor heating systems. Ultra Tile ProRapid RS conforms to the requirements of EN 12004 Class C2FT. Ultra Tile ProRapid RS has recently been given a makeover; look out for the product In its new flashy bag very soon! For further information on projects using porcelain tiles, please request a copy of the Ultra Tile brochure that is now complete with installation guides. It may also be downloaded from www.ultratileadhesives.co.uk.